No two faces are created equal. 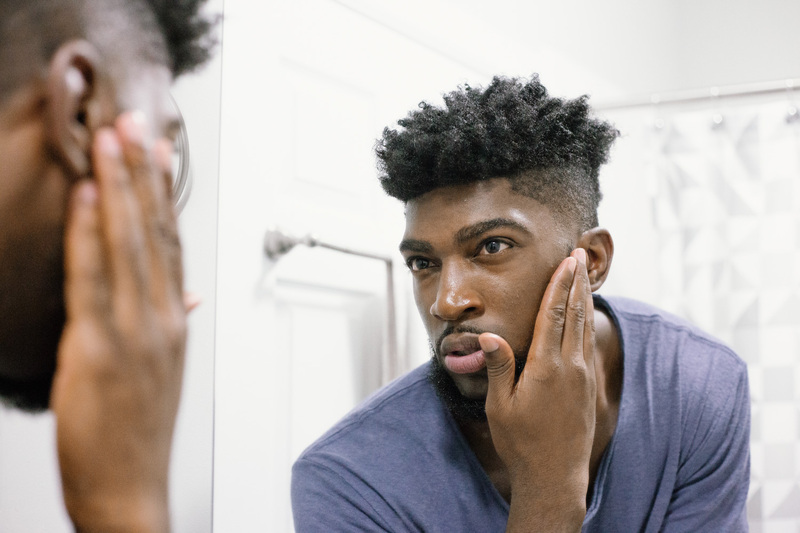 Whether you have naturally dry or oily skin, there are certain pre-shave rituals that you’ll need to consider, well before blade touches skin. So, even if you’re a beginner with oily skin or a long-time shaving veteran with sensitive skin, there’s always something new to learn when it comes to the understated art of the pre-shave. There’s a couple of factors that you’ll have to take into account before tackling your pre-shave ritual, like climate, humidity and even genetics. Men with naturally oily skin, believe it or not, have some of the best skin when it comes to regular shaving because the oil that forms around your hairs serve as a natural lubricant. This means far less prep work before actually having to shave. Right after a warm shower, simply apply a small amount of your favorite pre-shave oil and then get to work, making sure to shave in the direction of your hair growth. Finish off with a splash of cold water to the face, and a moisturizing balm to reduce the risk of ingrown hairs and general irritation. For those who have the kind of skin that requires an extra dab of cocoa butter, your pre-shave ritual is going to require a little more effort. Dry skin has the tendency to affect the hair that’s in and around it, so the best time to shave is immediately after you’ve showered. Not only does this help reduce the drag that can come with shaving on dry skin, but it also softens your hairs and opens the pores to receive more moisture. Use Priming Oil to keep your skin moist right before shaving and make sure to shave in the direction of your hair growth. Finish with a dab of Restoring Balm for good measure. Bottom line: your skin is a mf to deal with. You’re more prone to breakouts, razor bumps and bumps, and other skin irritations. In your case, a reliable safety razor is your best bet, because your skin can only take a few passes before it gets irritated, so those multi-blade razors won’t cut it. As far as pre-shaving goes, you’re going to want as little friction between the blade and your hair, so be sure start with priming oil, then get a good, lather-rich shave cream going. Once applied, shave in the direction of the hair growth, making sure to pass over the same shaving area no more than twice–if your blade is in top shape, this shouldn’t be a problem. Once you’ve finished, splash some cold water on the face to close up any open pores, use a reliable aftershave, and finish off with a cooling moisturizer that contains a little sunscreen to help protect your skin throughout the day. First of all: we envy y’all. Your skin is neither too dry or too oily, no trace of sensitivity, and you haven’t encountered a pimple since that one time back in middle school. Your skin is perfect and you should be proud, but that doesn’t absolve you from taking the proper steps before shaving. Simply wet your skin, and shave with either an electric or manual razor, and your skin should do the rest. No matter your skin type, there are pre-shave rituals that you need to adhere to in order to achieve and maintain the best skin, which in turn will give you the best facial hair. There’s an art to shaving, and only the best works come with proper pre-planning.